African leaders plan to launch a fund this year to help the continent access and manage its share of money from the global UN Green Climate Fund, a UN official said. Climate negotiators have yet to establish the Green Climate Fund, which the United Nations wants to be able to deliver US$100 billion a year by 2020. The idea of the fund was one of the few agreements to come out stalled climate talks in 2009. The resources will help poor countries brace for the effects of climate change while also investing in projects that mitigate it, such as renewable energy and protecting forests, Reuters reports. The global cost of combating and adapting to climate change is estimated at US$46 trillion up to 2050, or US$1 trillion a year. Ibrahima Dia, a senior UN and African Union official involved in the talks, said the African Development Bank would establish and manage the fund, which is needed as African states individually lack the knowledge and technology to secure their share of global climate funds. The fund will be launched at COP17, the next round of climate change talks in South Africa in November. African leaders have been trying to firm up a united position for the continent, which experts say will be one of the most affected by climate change because of its susceptibility to drought. 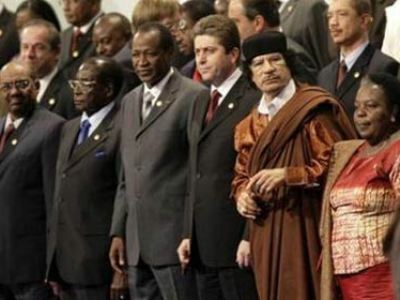 “(The message is) we go united to COP17, we don’t scale down, and we put an emphasis on adaptation,” Dia told Reuters on the sidelines of an African Union summit in Equatorial Guinea, where leaders discussed climate change amongst other issues such as Libya’s conflict. Dia said only four countries — South Africa, Tunisia, Morocco and Egypt – currently had the expertise, the knowledge or technology to attract the money from global climate funds. “We want to use the knowledge and expertise of the African Development Bank in managing ad hoc mechanisms to set up that African Green Fund,” Dia said.